As many as 20 million African migrants could come to Europe in the near future, according to the new president of the European parliament. The human smuggling trade is “the fastest growing criminal sector,” Rob Wainwright, the agency’s British boss, said. “Over 90 percent of all migrants that reach the EU have used the facilitation services of a migrant smuggling network. These crime networks are taking mass profits from mass migration,” he said. Even the UN admits that 71% of migrations stem from trafficking operations. Europol’s European Migrant Smuggling Centre (EMSC) gathered information on 17,400 new migrant smugglers, in addition to the countless number already operating inside Europe. Gangs of smugglers offer “package deals” on Facebook that lure migrants into paying thousands of pounds to reach Europe. The agency said traffickers target vulnerable migrants with “attractive and unrealistic offers” on social media, including sea crossings, fake passports, sham marriages and false work permits. They were even bribing consular officials from European embassies in Asia and Africa for help slipping people illegally into Europe. 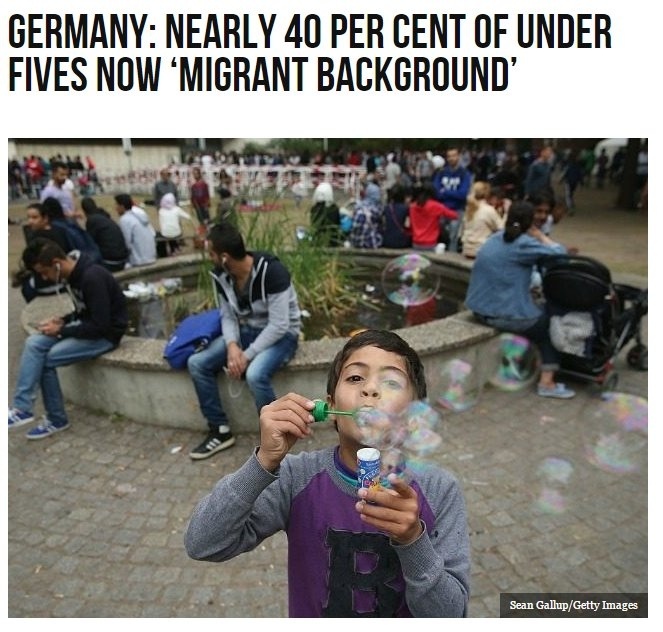 As we have previously covered, only 13% of the NGO-sponsored migrant racket involves those fleeing war. There is a thin line between human smuggling and trafficking. Quoting Interpol: “In principle, the relationship between smuggler and migrant ends once the individual arrives in the new country. However, there is evidence that people smugglers continue to exploit illegal migrants, through threats and demands for additional fees. In some cases, smugglers force migrants to work for years in the illegal labour market to pay off the debts incurred as a result of their transportation.” The German government has fessed up that just 34,000 migrants out of 1.2 million arriving in the last two years have found work. The New Nationalist (TNN) has held that key corrupt Italian and EU officials have been bribed or compromised not to interfere with the migrant trafficking. An indication that the rule of law is so poor in Italy is that the Sicilian Mafia has become the primary counter-force against the traffickers and the African gangs. Obviously, the Mafia feels threatened by the onslaught and the poorer Italians that the Cosa Nostra protects (in lieu of the Government) are having their neighborhoods and towns impacted. In a put-up-or-shut-up moment, Italian news source Il Giornale carried remarks from Carmelo Zuccaro, the chief prosecutor of Catania (Sicily), calling for monitoring of the funding behind the NGO groups engaged in operating the migrant fleet. He stated that “the facilitation of illegal immigration is a punishable offense regardless of the intention.” The chief prosecutor also noted that Italy is investigating who is behind Islamic radicalization occurring in immigrant camps. A British think tank has said that “ISIS” is recruiting refugees by offering vulnerable people hundreds of pounds and safe passage to Europe, if they join the terrorist group. As TNN has stated again and again, readers need to have the correct interpretative framework about who or what ISIS is and who is behind it. There is a nexus between the NGOs and the so-called ISIS apparatus. 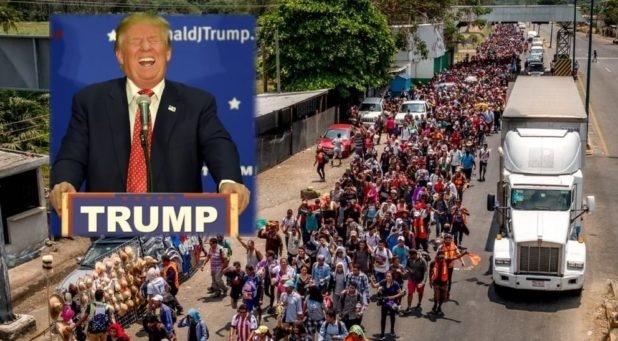 The bottom line is that this is weaponized migration combined with corruption, and it has been allowed to go on far too long with substantial damage being done. The multiple ships mentioned by the Italians are sponsored by NGO groups with financial ties to organizations run by George Soros and donors to Hillary Clinton. The Soros connection was made by Hungary’s Viktor Orban, an accusation that was dismissed by the faux European mainstream media aka lying press and corrupted government officials (Merkel, et al) as a “conspiracy theory.” The “D.C. Leaks” last summer pointed to Soros. Further, as noted, human trafficking exploitation is a profitable crime racket as is the business of chaos. The logical, long-overdue, next step is to peel back the onion and charge and prosecute these high level elite donors and criminals– not just the mid-level minions. TNN, nearly alone, named some of the mid-level traffickers here. Much like war, the rich elite are only okay with these people showing up in the poor commoner areas but never behind their gated facades were they sip Haut-Brion wine on tax payer dollars. One of the ships is named “Siem Pilot”. It is owned by Kristian Siem, son of Martin Siem, that had to abandon his position as CEO, having been charged of smuggeling Military Gunboats to Israel, braking Presiden Charles de Gaulle´s embargo. Obviously braking International Laws, illegally smuggling Migrants to Europe, a Norwegian politician, Carl I Hagen made the facts public, without getting any traction from other politicians or MSM. Traveling to France and Germany this year in the Fall. I’m both anxious and petrified to see the changes. Don’t forget to drive truck through Calais!